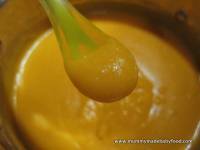 The Making Baby Food Blog lets you know whenever any new or updated web pages appear on Mummy-Made Baby Food. Don't miss our new recipes and other useful information. To subscribe to the Making Baby Food Blog (no e-mail address necessary), RIGHT-click on the orange RSS button in the navigation bar to the left, and then copy-and-paste the URL of the "RSS feed" into your blog reader. OR click on one of the other buttons if you use one of them, and follow their instructions. Simple, delicious, and super easy to make - this recipe will soon become one of your staples! 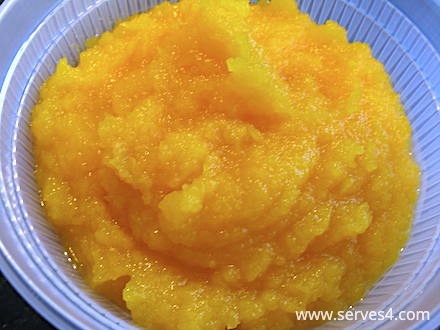 For more information, useful tips and recipes, click here. 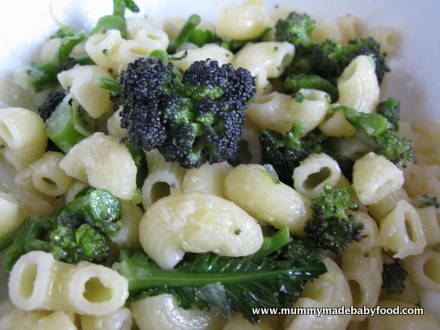 Continue reading "Quick Pasta: Pasta with Broccoli"
Sugar-free, dairy-free, and healthy too - your kids will love it, and you'll never believe it's cake! 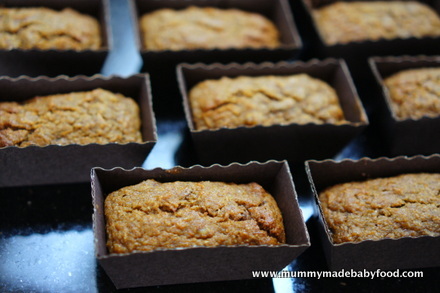 Continue reading "Home Made Cake: Sugar-Free Mini Carrot Loaves"
Love cake but have dietary restrictions? No problem. This gluten-free and dairy-free chocolate cake is to-die-for, you'd never know what was missing. 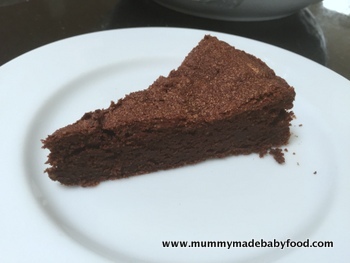 Continue reading "Home Made Cake: Gluten-Free Chocolate Cake"
The perfect guilt-free baby snack that looks, smells and tastes like a chocolate truffle that it might as well be one! 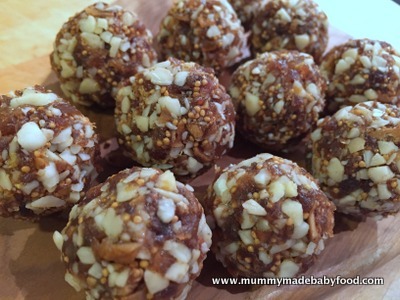 Continue reading "Baby Snack Idea: Raw Chocolate Truffles"
It couldn't be easier to make your own red bean paste with this recipe - make in bulk ahead of all your Chinese New Year baking needs! 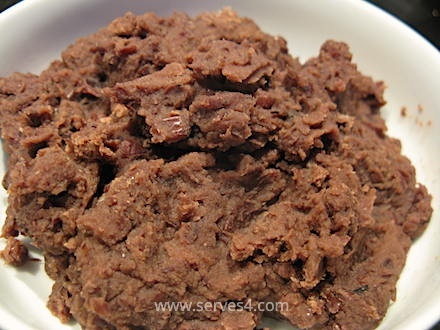 Continue reading "Red Bean Paste"
Here's a deliciously simple baby snack idea that's not just for the holidays. 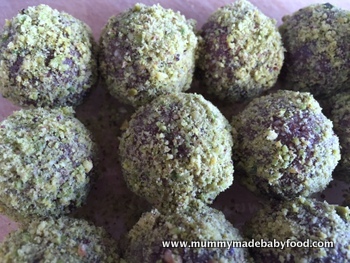 Continue reading "Baby Snack Idea: Raw Fig and Almond Bites"
Looking for something figgy to make this holiday season? Try these scrumptious and festive Fig Bars with Oats. 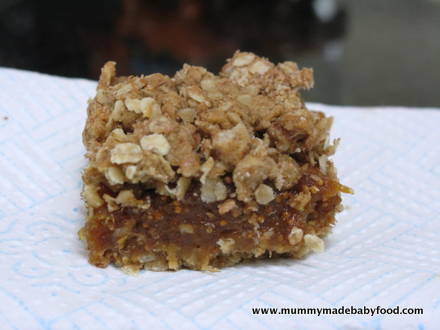 Continue reading "Home Made Cake: Fig Bars with Oats"
Whip up a batch of pumpkin puree for all your autumn baking needs with one of these two easy recipes. 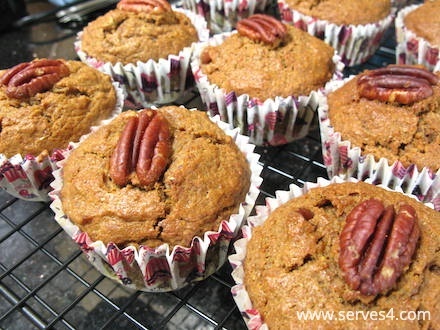 Dive into autumn and pumpkin season with this delicious home made cake recipe for pumpkin pecan spelt muffins. Continue reading "Home Made Cake: Pumpkin Pecan Spelt Muffins"
This baby snack recipe for strawberry ice lollies is deliciously refreshing, healthy and easy to make. 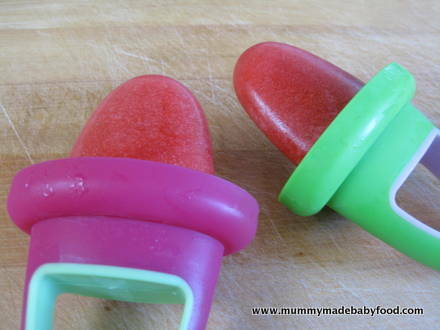 Continue reading "Baby Snack Idea: Sugar-Free Strawberry Ice Lollies"
An ideal first meal for weaning your vegetarian baby, these Tasty Red Lentils are rich in protein, dietary fibre and iron. Continue reading "Vegetarian Baby Recipes: Tasty Red Lentils"
Try these protein and fibre rich, sugar-free and super healthy raw ginger buttons for a twist on the classic ginger biscuit. Gluten-free and vegan friendly. 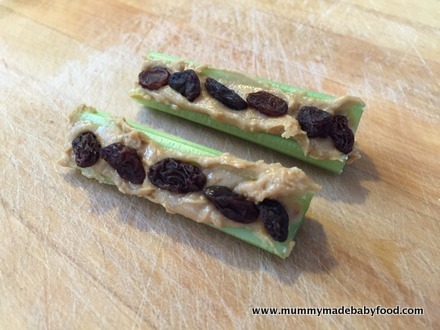 Continue reading "Baby Snack Idea: Raw Ginger Buttons"
Continue reading "Snack Idea: Ants On A Log"
Looking for a snack idea for your busy children? Click here for some inspiration. 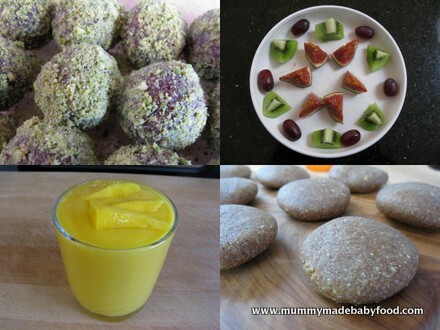 Continue reading "Snack Idea Wanted For Busy Children"
Looking for a fun yet satisfying meal for baby? Try this super easy recipe for beef meatballs. 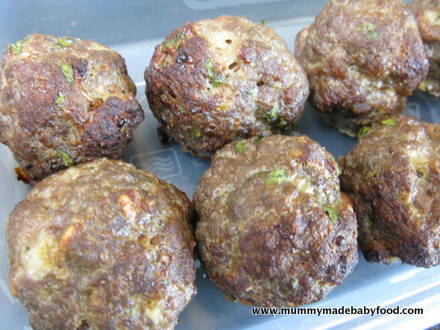 Continue reading "Baby Finger Foods: Beef Meatballs"